Lionsgate Home Entertainment makes sure you’re not forgetting about your favorite action stars of yesterday and today by bringing The Expendables 3 to Blu-Ray and DVD in November. In the latest edition of the popular franchise, Barney (Sylvester Stallone) faces off with an old enemy and must fight old blood with new blood, bringing in a new era of Expendables who are younger and faster. The latest mission becomes a clash of classic old-school style versus high-tech expertise when The Expendables find themselves in their most personal battle yet. The DVD version will feature only the movie itself without any bonus materials. 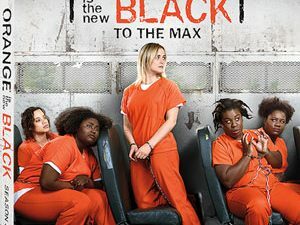 The Blu-Ray version on the other hand will also contain a Documentary covering the production of the film, as well as the Featurettes ” New Blood: Stacked and Jacked” and ” The Total Action Package”. An Extended Scene for “Christmas Runs the Gauntlet” will also be included on the disc, along with a Gag Reel. Aside fomr a 1080p high definition presentation, the Blu-Ray version will also feature a Dolby Atmos soundtrack encoded with Dolby TrueHD. 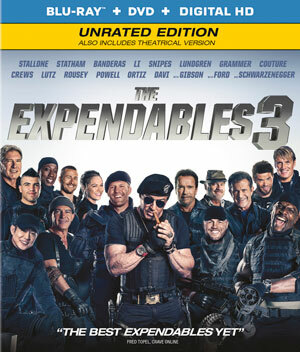 “The Expendables 3” will blow its way onto home video on November 25 for $39.99 as a Blu-Ray/DVD + DigitalHD combo and $29.95 on DVD.